A par four measuring 459 yards from the back tee, and the stroke index one hole. A well-struck driver avoiding the small but magnetic pond to the right of the fairway is required here to give any chance of reaching the green in regulation. 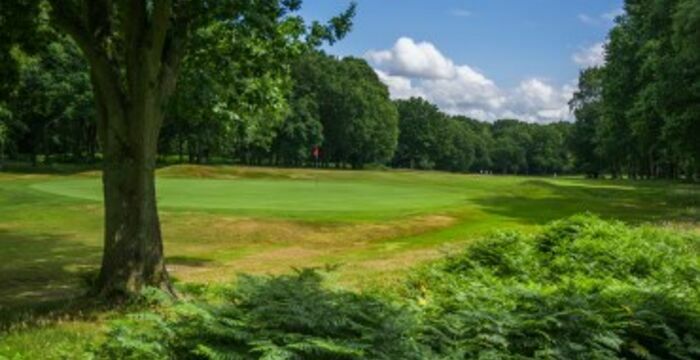 The second shot has to carry a band of cross-rough to reach the approach fairway, but beware, this green is well-protected by large mounds to the right and left of the green.